To get the full story of GROOVE RADIO, you have to know about the man behind the groove, Swedish Egil. For nearly four decades, Egil has been bringing fresh music to the world’s ears, starting with 10 years as a DJ at KROQ-FM in the 80’s where he helped break many artists into the mainstream including New Order, Kraftwerk, Depeche Mode, UB40and Front 242. Always on the pulse of new and exciting global sounds, Egil spearheaded much of the music and the bands that formed the Punk, New Wave, and eventually the underground Dance movements of the early 90’s. Egil then accepted a rare opportunity to develop his Music Director skills at the now legendary MARS-FM in Los Angeles – the station that broke techno / rave music on U.S. radio with The Orb, Prodigy, and Moby. In 1992, Egil began to focus on the future beats of club culture when the first radio broadcast of his own GROOVE RADIO INTERNATIONAL program was heard from the Arizona desert. The feedback was immediate. Listeners began to demand this new electronic sound, this breath of fresh air and positive vibes. GROOVE RADIO soon became the catalyst for electronic music’s exposure across the entire states. It was the first media outlet in the US to cater wholly to the underground community – bringing DJs, artists, and personalities from all over the world to play, spin, or just share moments of their lives across the airwaves. With early presence on the internet back in 1995, GROOVE RADIO was the first to feature global webcasts with artists such as Future Sound of London and Orbital. This true commitment to championing the art of the DJ has helped bring into the GROOVE RADIO studio such talents as The Chemical Brothers, Daft Punk, BT, Paul Oakenfold, Timo Maas, Pete Tong, John Digweed, Basement Jaxx, Groove Armada, DJ Rap, Sasha, LTJ Bukem, Dimitri From Paris, Dave Ralph, Richard Vission, Christopher Lawrence, Roni Size & Reprazent, Aphrodite, Roger Sanchez, and Olive. Since its inception, GROOVE RADIO has celebrated over 2500 syndicated shows, launched the first 24/7 radio station in Los Angeles dedicated to DJ culture, became a top 5 internet station in the world, and has released an acclaimed series of GROOVE RADIO PRESENTS recordings. 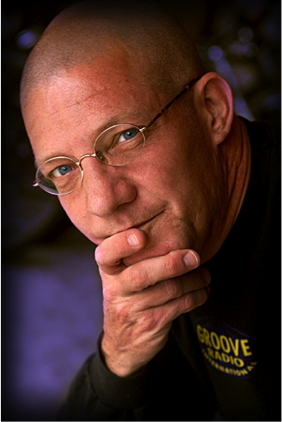 With a worldwide audience at GROOVERADIO.COM, Egil maintains his vision and the promise from years ago to make digital dance music available to the masses. GROOVE RADIO INTERNATIONAL…Swedish Egil launches his own syndicated radio program, dedicated to bringing electronic dance music to the American public on a weekly basis. GROOVE RADIO celebrates #100 shows in syndication, reaching more than 200 US markets with Music Choice cable radio and commercial radio affiliates including WDRE/New York, 91X/San Diego, KEDJ/Phoenix. GROOVE RADIO web site becomes available on the internet at: www.grooveradio.com – becoming one the earliest streamers in the world with live broadcasts of Orbital from London’s Wembley Arena and from the recording studio of The Future Sound of London. GROOVE TV – the music video companion to GROOVE RADIO – receives a Billboard Magazine Video Nomination for Best Local/Regional TV show/Dance Music. GROOVE RADIO 103.1FM – Egil spearheads his original 24/7 format on Los Angeles radio station KACD/KBCD – the first in America committed to the advancement of electronic dance music and to championing DJ culture – exposing artists such as Fatboy Slim, Armand Van Helden, Daft Punk, Carl Cox, and The Chemical Brothers. GROOVE RADIO PRESENTS…Egil lands label deal with PRIORITY RECORDS/EMI dedicated to releasing GROOVE RADIO recordings and innovative electronic music under imprint egil_music. GROOVE RADIO PRESENTS successfully releases 5 CD compilations. GROOVE TV returns to the L.A. airwaves on KNET-TV UHF 38 broadcasting to 4.6 million homes in Southern California. GROOVERADIO.COM expands on the internet on the digital date of 01/11/00 and begins to showcase guests including Paul Oakenfold, Moby, Roni Size & Reprazent, Pete Tong, B-Real of Cypress Hill, Timo Maas, BT, John Digweed, Olive, The Crystal Method, and Basement Jaxx. GROOVERADIO.COM becomes the #1 station for electronic dance music and Top 5 streamer among thousands of stations on the internet. More than 500 DJs have appeared live on Groove Radio including Judge Jules, Christopher Lawrence, Keoki, AK 1200, A Guy Called Gerald, Roger Sanchez, DJ Irene, Tiesto, LTJ Bukem, Aphrodite, Mixmaster Morris, Richard Humpty Vission, Taylor, Dimitri From Paris, Mixmaster Mike, MJ Cole, DJ Rap, DJ Dan, Ming + FS, Mark Farina, D:Fuse, Sandra Collins, Dave Ralph, David Holmes, Sasha, and Ferry Corsten. GROOVE RADIO celebrates a milestone 10 YEARS dedicated to true electronic dance and DJ culture. Cited by such publications as L.A. Times, Entertainment Weekly, The Industry Standard, Spin, and Billboard, as well as national television exposure by CNN, TechTV, Fox News and KNBC/Los Angeles. GROOVE RADIO INTERNATIONAL weekly syndicated program debuts on SIRIUS SATELLITE RADIO. GROOVERADIO.COM receives “Best Website” nomination at 2003 DANCESTAR USA Music Awards. GROOVE RADIO receives nomination for “Best Internet Dance Radio Station” at the 19th annual Winter Music Conference. GROOVE RADIO INTERNATIONAL celebrates #350 weekly shows on SIRIUS RADIO now merged with XM RADIO with 20 million subscribers across the nation. GROOVE RADIO reaches a milestone 20 years of broadcasting. GROOVE RADIO INTERNATIONAL celebrates #1000 weekly shows since its launch in 1992, and more than #500 weekly shows on SiriusXM.